Three words: Halloween candy packaging. We’ve already got your attention, haven’t we? It’s one of the best times of the year, when some of the best brands pull out all the stops to look great and grab your attention. The market might flood with endless brands of candy, but just a handful of them manage to create some truly memorable Halloween candy packaging. 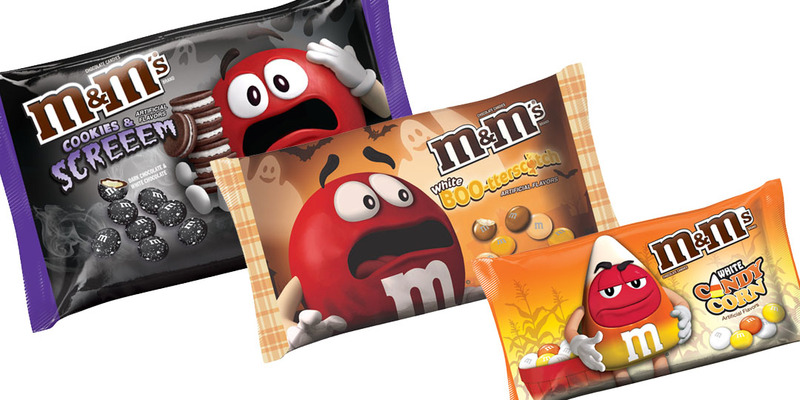 Here’s some of our favorite spooktacular examples of Halloween-themed candy packaging. We think these guys are the height of Halloween candy packaging. Simple graphics changes and a clever re-naming technique means these chocolates stay just as popular during Halloween as they are the rest of the year. Plus, keeping this packaging exclusive to the Halloween season means people have a limited window of opportunity to find them—which in turn makes their popularity soar even more. These guys go the whole nine yards, as they say. Halloween-themed packaging, punny names and a limited time flavor makes them candies worth hunting down across the month of October. They’re such great examples of Halloween candy packaging that we’re almost unable to bring ourselves to open them up. Almost—nothing will stop us from getting to those candies. Bite-sized peanut butter and chocolate cups. Oh yes, please! 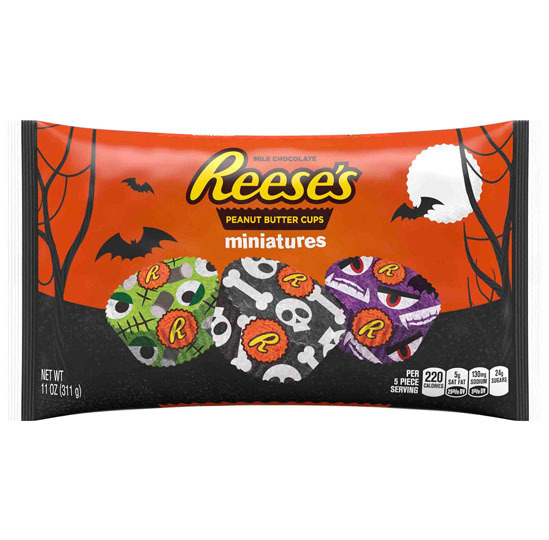 We’re huge fans of Reese’s already, and wrapping these little guys in Halloween-themed foil is another example of Halloween candy packaging brilliance. 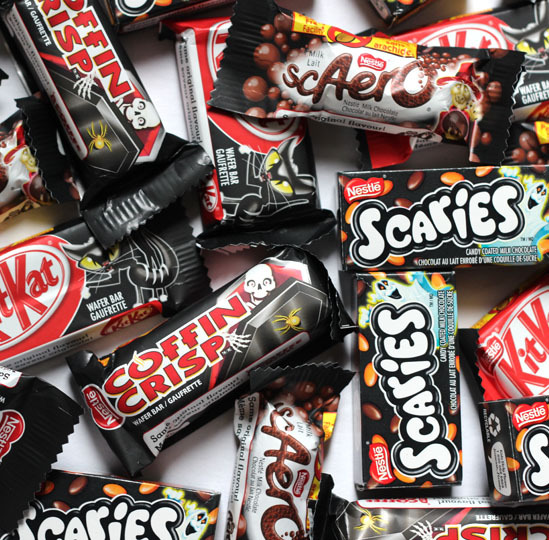 They all might be the same candy inside, but we bet you’re separating them into groups of Frankensteins, skeletons and monsters, too, aren’t you? Making its second appearance on this list (can you tell we like Kit Kat? ), this treat takes some fun inspiration for its Halloween candy packaging. 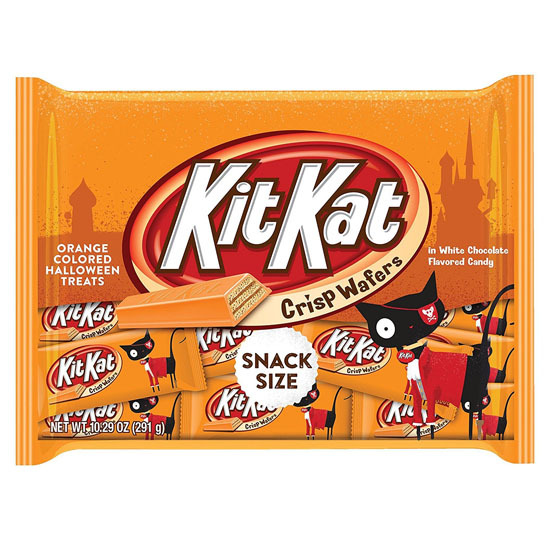 Switching to white chocolate flavour and turning a surprising orange color, Halloween Kit Kats join the ranks of pumpkin-centric candy. Plus, there’s a kitty with an eyepatch! Who can resist that? 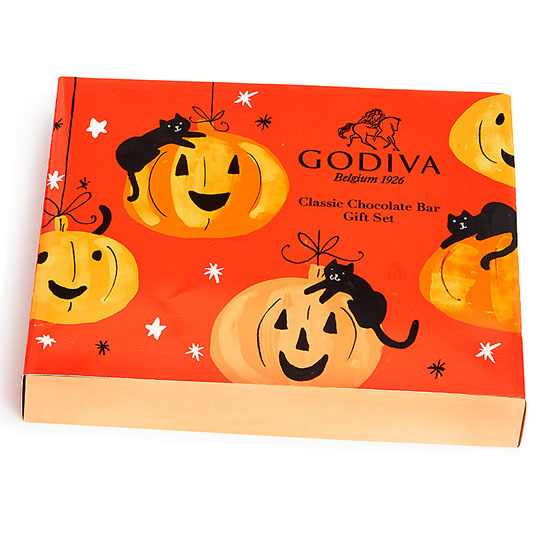 Godiva always takes great care with its look, and its Halloween candy packaging is no exception. The bright orange catches the eye, and the hand-painted imagery of cats and pumpkins keeps it there. Whatever candy awaits inside, this classy packaging tells its recipient that they’re one lucky candy lover. Probably the most iconic chocolate packaging out there is the Lindt chocolate truffle wrapper. Its Halloween candy packaging, looking like happy little pumpkins, easily lives up to that reputation. 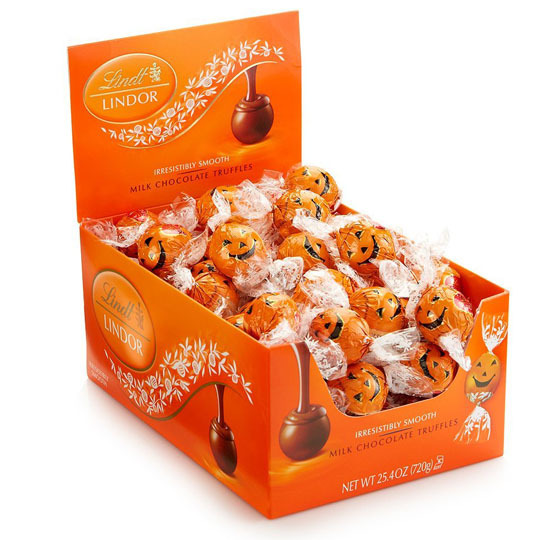 The vibrant orange cardboard packaging, and shiny foil and plastic wrappers (with their distinct crinkling sounds), mean Lindt is never missed in the sea of Halloween candy. 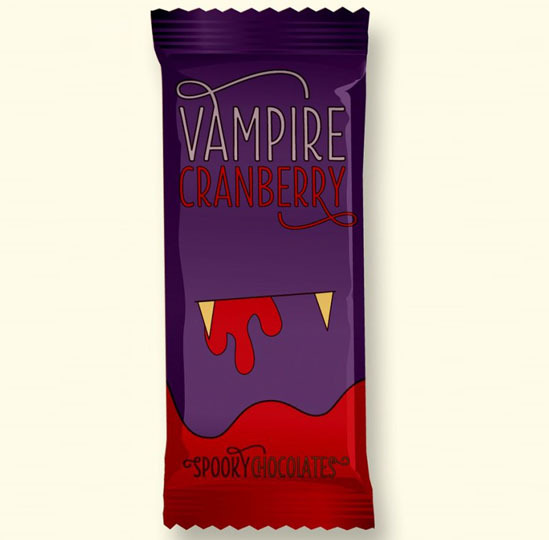 Perhaps the most unexpected entry on this list, Vampire Cranberry’s packaging tells you everything you need to know about its chocolate. Those fangs? This bar has bite. The illustrated look to the lettering? This candy isn’t some run-of-the-mill, mass-produced offering. That purple packaging? This confection is premium quality in a market full of sub-standard chocolate. And it’s a student project. The Packaging Company loves great packaging, and we daresay we love great Halloween candy packaging even more. 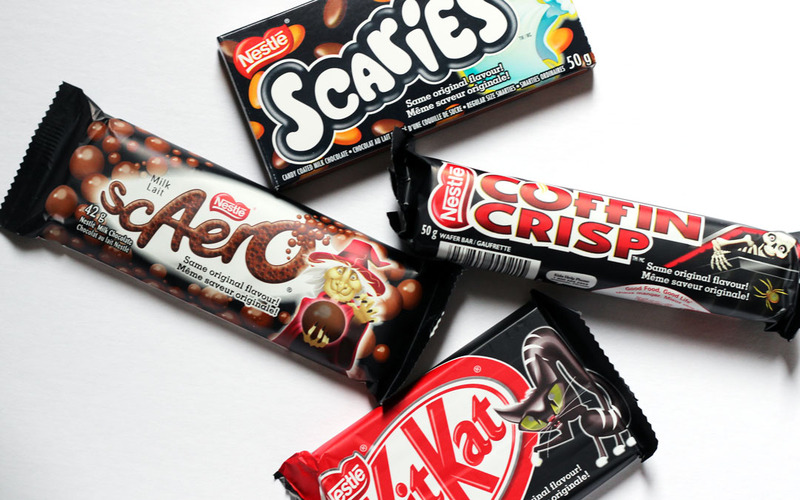 We’d love to know what your favourite Halloween-themed candy packaging is, so make sure to share them with us on social media!